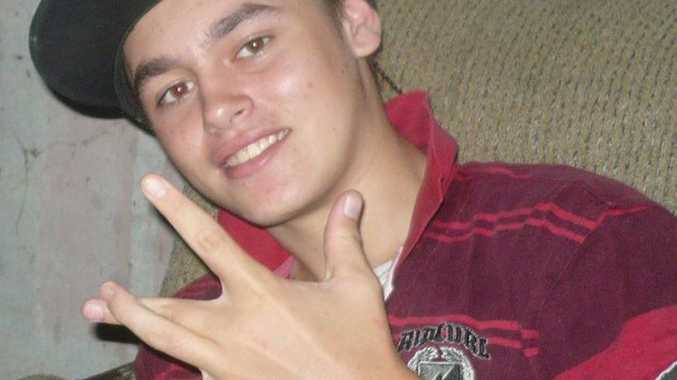 Richard William Kraudelt, 18, pleaded guilty on Tuesday in the Brisbane Supreme Court to a host of drug, weapons and property-related offences. Judge to drug user: are you man enough to break the cycle? A MARYBOROUGH man who was caught during a police raid with methamphetamines, prescription drugs, shortened firearms, cash and fireworks has walked free from court. Richard William Kraudelt, 18, pleaded guilty on Tuesday in the Brisbane Supreme Court to a host of drug, weapons and property-related offences stemming from the police raid on his Sussex St home in March this year. Prosecutor Katrina Overell told the court Kraudelt had a horrendous juvenile record littered with numerous serious crimes including robbery, assault, drug and property offences, and dangerous driving. She said the teenage father-of-two had served 13 months in juvenile detention after being found guilty in 2012 of causing grievous bodily harm, for his attack with an axe on staff outside the Criterion Hotel after being asked to leave. Ms Overall told the court that after Kraudelt's latest arrest, he had concocted a fanciful story in an effort to cover up his offending. She said police discovered 10.96g of meth located in various parts of the house which had a purity of between 69% and 71%. "Police also located two shortened firearms stashed in a sports bag hidden in the hallway roof," she said. "They also located $8000 in cash hidden under his pillow and a further $990 in his wallet. "Police also discovered a large stash of ammunition and fireworks in the kitchen. "He told police that he had no idea why all those items were in his house and said they must have been planted by someone while he was asleep." Defence barrister Peter Richards said Kraudelt had had a poor upbringing as a result of his drug-addicted parents. He said despite Kraudelt's shocking criminal history, there was still hope for rehabilitation given his young age. "He was using at least 1g of meth per day, which could explain his offending," he said. "Despite being young, he is under no illusion that he is at the crossroads of his life." Justice Peter Applegarth was scathing when addressing Kraudelt shortly before handing down his sentence. "Any decent man would think about the responsibility they had towards their children," he said. "If you cannot do that, then you should stop having children. "Do you really want your children growing up, like you did, knowing that their father was a criminal who could not turn his life around when given the chance?" Justice Applegarth sentenced Kraudelt to three years behind bars but ordered he be released on immediate parole after taking into account the 287 days he had served in pre-sentence custody. "You need to decide whether you are man enough to break this vicious cycle," he said. "You also need to be man enough to confront your past and seek some help so hopefully one day you will be a productive law-abiding citizen. "If not for your own sake, do it for the sake of your children so they do not end up in this endless cycle that I see all too often in my court."